Registration has opened for the 2018 Australian Pool Nationals. 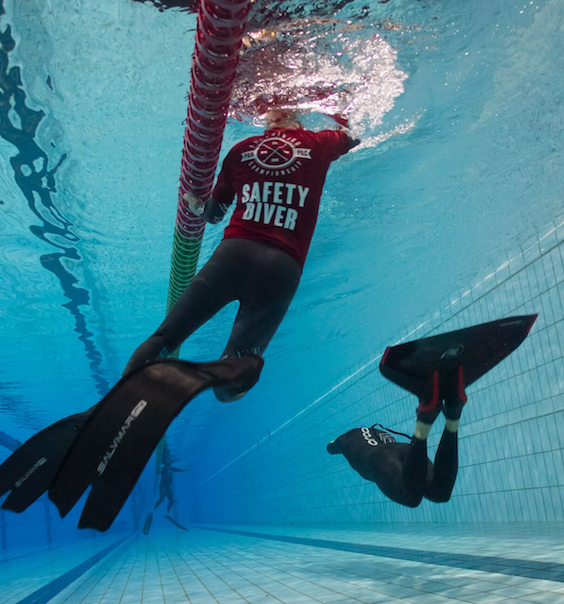 The Australian Freediving Association and the Sydney Freedivers will host the Pool National Championships in Sydney from Fri, 11 May to Sun, 13 May, 2018 at the Knox Grammar School Aquatic Centre. This competition is conducted under AIDA International rules and open to all AFA members regardless of their nationality. For further information, and to register, go to the Competition Page. The AFA is also seeking expressions of interest (EOI) from current AIDA Judges who wish to judge at the competition. If you are interested please send your EOI via the Contact page by 5pm Friday 2 February. Please tell us why you want to judge at this competition, where you are based and any experience you have that isn’t on the AIDA site.